Blade Runner subverts our sense of history through the technique of mise-en-scene. 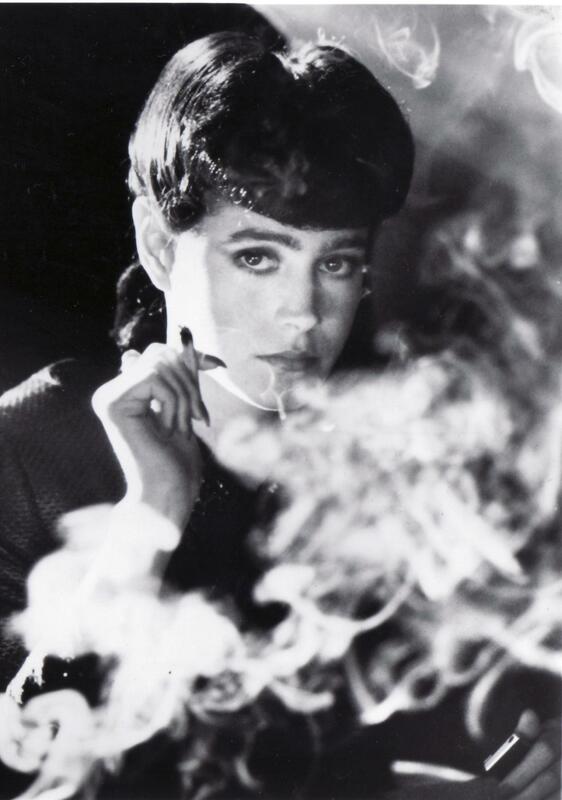 In Blade Runner, Rachel, dressed as the archetypical femme fatal of film noir, goes to Deckard’s apartment with the intention of questioning him about the results of a ‘Voight-Kampff’. 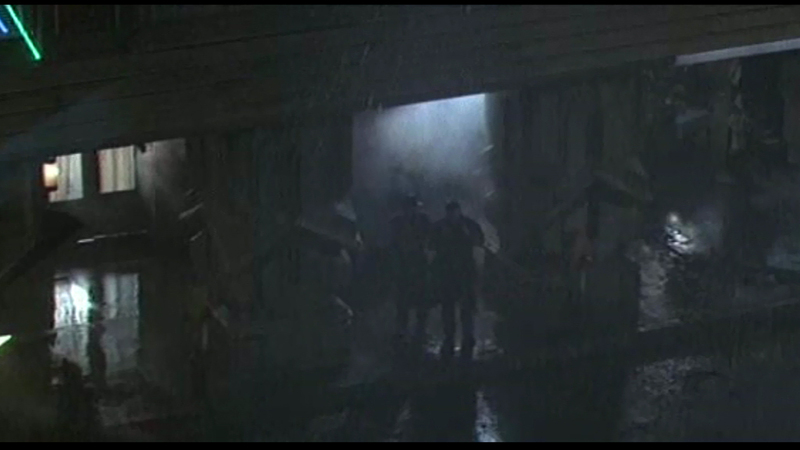 The scene moves smoothly into the new space of Deckard’s apartment with the traditional establishing shot, the framing of the important scene adheres to the Classic Hollywood continuity editing system. 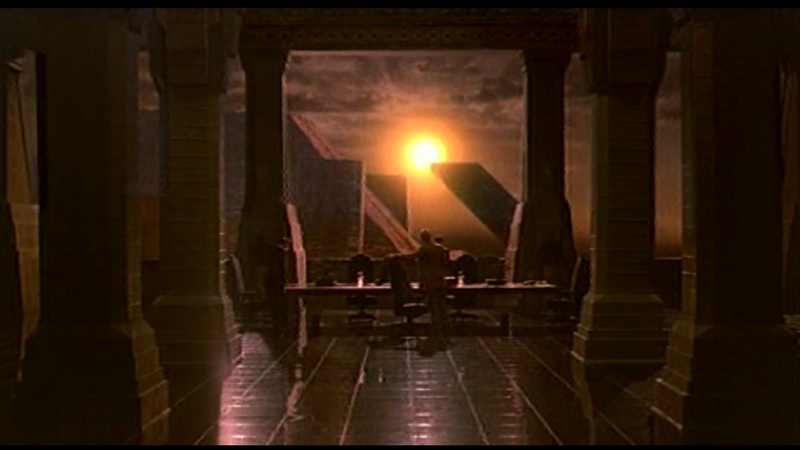 The use of the establishing shot gives the viewer time to process the alien-like mise-en-scene. The mise-en-scene combines the common domestic with the bizarre and unrecognisable, imbuing the scene with an eerie sense of the familiar, which raises questions about a disconnected sense of heritage. Although the domestic aspects are familiar with our own, the kitchen sink and cupboards, we are unable to relate the aesthetic and technological advances to our contemporary life. The mise-en-scene is important as it reveals that underneath all of the questions about Rachel’s authenticity there is a lack of rational connection with our society to the society shown. The structures that surround the characters are disconnected from any logical progression in fashion and science. 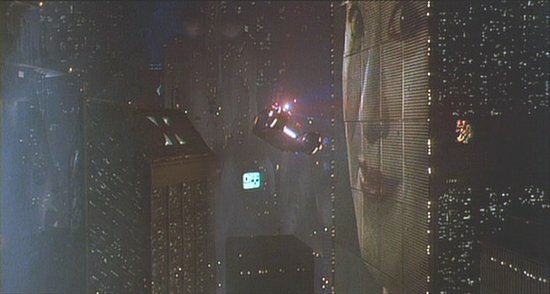 Ridley Scott raises problems concerning the conception of history as dialectical progress, cause and affect, in Blade Runner. Earlier in the film, during the opening scenes, we see that the future Los Angeles is a vision of an alien future disconnected from the present day geographic entity. Los Angeles had been transformed into a city splintering upwards with harsh vertical lines, dark shadows and bright lights; Los Angeles has been transformed into a city more reminiscent of New York.2 The philosopher Derrida once declared that nothing is outside the text; the use of continuity editing could itself be seen as an ironic example of this.3 The classical Hollywood system of narrative is itself an organizing system which explains and legitimises knowledge, and like the historical meta-narrative it orders events into cause and effect. Blade Runner critiques the use of meta-narratives to explain and rationalize while functioning from within one, therefore is a representation of postmodernity. 1R, Appignanesi & C, Garratt. Postmodernism for Beginners, Cambridge: Icon Books Ltd, (1995), p. 82. 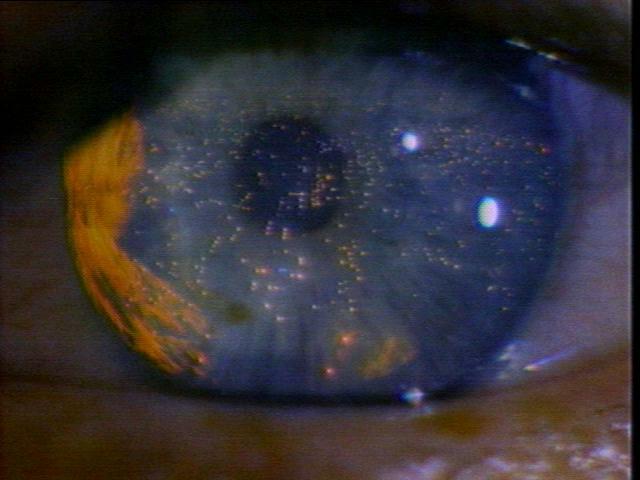 2Scott Bukatman, Blade Runner BFI Classics, London: BFI (1997), p. 61. 3R, Appignanesi & C, Garratt. Postmodernism for Beginners, p. 79.